The personality trait section appears to at least be consistent with current findings. I see a lot of comments on the article berating the "De-emphasize empathy" section as well, but it's starting to become clear empathy has a lot of bugs in it. Paul Bloom advocates for compassion instead of empathy. There's definitely assumptions in the article e.g. Men (may) prefer coding due to the average innate preference of things vs people (and then vice versa for women)and the belief programs exclusive to minorities due more harm than good, but outside of those this seems like a fairly well researched document that, for better or worse, has a dissenting opinion from the group. > We often think of our capacity to experience the suffering of others as the ultimate source of goodness. Many of our wisest policy-makers, activists, scientists, and philosophers agree that the only problem with empathy is that we don’t have enough of it. > Nothing could be further from the truth, argues Yale researcher Paul Bloom. 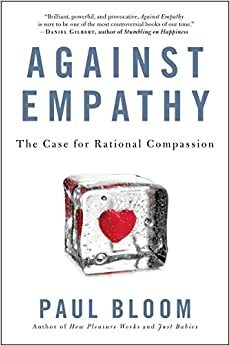 In AGAINST EMPATHY, Bloom reveals empathy to be one of the leading motivators of inequality and immorality in society. Far from helping us to improve the lives of others, empathy is a capricious and irrational emotion that appeals to our narrow prejudices. It muddles our judgment and, ironically, often leads to cruelty. We are at our best when we are smart enough not to rely on it, but to draw instead upon a more distanced compassion. This is how that manifesto is being so miscategorised. It says - DIRECT QUOTE - "relying on affective empathy — feeling another's pain — causes us to focus on anecdotes, favour individuals similar to us, and harbour other irrational and dangerous biases". Not empathy is not required. Not empathy is useless, but a specific, nuanced usage of empathy. It is understandable this miscategorisation given how most people see empathy, but it is still borderline strawmanning to impose a definition here that was not intended.